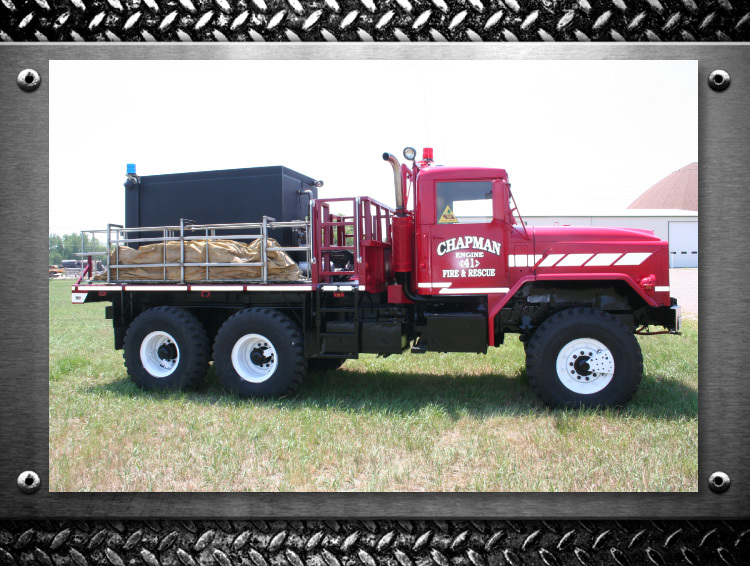 "We received a surplus federal surplus 6X6 from the Nebraska Forest Service and had it built into a tanker/wildland firefighting rig. 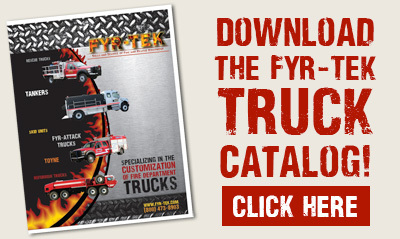 We supplied FYR-TEK with some equipment from our old 6X6 to help build us a great all terrain truck. It has a 1200 gallon tank, power rear dump and 2 spray bars on the front for a one man operation. An 18 hp pump motor with 350 gallon pump and 1 3/4 hose bed that will store 200 ft of hose. Cabinet for storing shovel and other firefighting gear. They also built 2 firefighter cages to run on the hose bed to fight fire with 1" hose lines with 13 to 60 gallon nozzles."